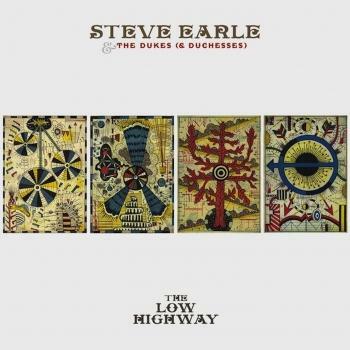 Artist "Steve Earle & The Dukes (& Duchesses)"
Zandt and Guy Clark, Steve Earle quickly became a master storyteller in his own right, with his songs being recorded by Johnny Cash, Willie Nelson, Emmylou Harris, Waylon Jennings, Travis Tritt, The Pretenders, Joan Baez and countless others. 1986 saw the release of his debut record, Guitar Town, which shot to number one on the country charts and immediately established the term “New Country.” What followed was an extremely exciting and varied array of releases including the biting hard rock of Copperhead Road (1988), the minimalist beauty of Train A Comin’ (1995) the politically charged masterpiece, Jerusalem (2002) and the Grammy Award Winning albums The Revolution Starts…Now (2004), Washington Square Serenade (2007) and Townes (2009). I’ll Never Get Out Of This World Alive is Steve Earle’s 14th Studio Album and features the song “This City” which has garnered both Emmy and Grammy Award nominations. The new album has been met with overwhelming critical acclaim including a 3 ½ out of 4 Star review in the Los Angeles Times while the New York Post stated that the album was “American roots music at its best” in their 3 ½ out of 4 star review. I’ll Never Get Out Of This World Alive was released alongside his debut novel of the same name (published by Houghton Mifflin Harcourt). The novel imagines the troubled life of Doc Ebersole as he is haunted by the ghost of his former patient and friend, Hank Williams. Patti Smith stated, “Steve Earle brings to his prose the same authenticity, poetic spirit and cinematic energy he projects in his music. I’ll Never Get Out Of This World Alive is like a dream you can’t shake, offering beauty and remorse, redemption in spades.” Recognized as an actor from the overwhelmingly acclaimed series The Wire, Steve Earle is also a cast member on HBO’s acclaimed series Treme, currently in its second season. Additionally he has appeared as an actor on Law and Order and the feature film Leaves of Grass, starring Edward Norton, Susan Sarandon, Richard Dreyfuss, and Keri Russell. Steve Earle lives in New York City with his wife, the critically acclaimed singer songwriter, Allison Moorer, and their one year old son, John Henry. He will be touring in support of I’ll Never Get Out Of This World Alive with his live band The Dukes (and Duchesses) featuring Allison Moorer throughout 2011.